Jumping on roller skates is one of the coolest tricks you can learn. The first step is to take several powerful glides. When you’re skating at a good speed, bend your knees and keep your feet close together. When you feel comfortable, jump straight up. You don’t need to keep your knees bent when you’re in the air, but when you’re nearing the ground, you’ll need to bend your knees again to stick the landing. Upon landing, continue skating! 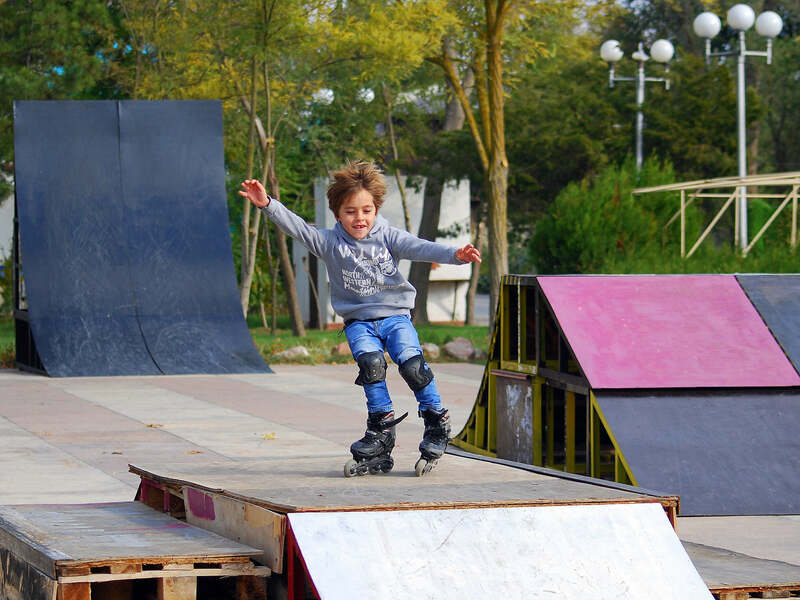 You’ve mastered your balance and speed, but now you want to learn how to skate backwards. We understand. This trick is extremely impressive! First, you want to start at the wall. (Don’t worry, you won’t have to use the wall for very long if you practice often.) Angle your chest toward the ground and make sure you tighten your core muscles. Use your hands to push off the wall and take small steps backward. The next step is to push off the wall and take strides backwards. Add a little bit of momentum every time you practice this step. After a while, you won’t need the wall! Last but not least, spinning on roller skates is a cool trick that’s simple to learn. If you’re at Skate World Leesburg, head to the middle of the rink to ensure no one will bump into you while racing around the rink. The first step is to take several powerful glides then turn your skates as if you are changing direction. Keep your roller skates turned to start spinning (and keep your momentum going)! To stop, straighten out your feet. 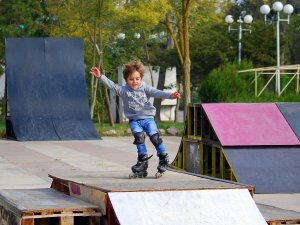 Are you ready to try fun roller skating tricks at Skate World Leesburg? Check out our summer schedule and head to the rink today!